Why must everyone in America use white subway tiles when I need them??? None to be had in the color I want. they’re easy to install, can be mixed well with color or black border and are ‘timeless.’ The punks in Chicago will spin the Ark & Ky results just like they did in ’08. Folks who don’t follow politics will conclude they must know something. They might be easy to install but I can’t find them mounted on mesh in the color I need (biscuit). I had to abandon the original tile I wanted and went with 3×6 individual tiles in white that I will have to install with spacers. Not ideal. They might try to spin but I think they’re cruisin’ for a bruisin’ if they are this out of touch and determined to keep control at all costs. In fact, this version of the Democratic party is scarier than the Republicans. At least with the Republicans, you can see where their hands are. They’re not trying to hide their evil. With the Democrats, it’s hidden but much more deadly to democracy. We just sent in our CA vote-by-mail ballots. I’m “indie” so don’t have B0 on mine, but registered Democrats do and there’s a write-in line. My partner wrote in. I wonder how many will be doing that here? Did you know before now that your partner is a racist? “From the Link in her post …. “here’s the money quote: “On Monday, the Arkansas Democratic Party announced that it would not award any delegates Wolfe, even if he wins a strong portion of the popular vote. According to the Associated Press, Democratic Party spokeswoman Candace Martin said Wolfe had not complied with Arkansas’ delegate selection rules and had not turned in two mandatory documents needed in the application process. Martin also added that the Democratic national party has told the Arkansas state party that any delegates Wolfe might claim won’t be recognized at the national convention. That DNC comment/behavior should really improve the attitudes of the voters disenfranchised in 2008. But that wasn’t a loss… to uncommitted. Let the DNC run over the wishes of voters, the republicans will have a heyday with it come November. Arkansas results: UPDATE: 11:32 PM With 71% reporting, Obama has been declared the winner. But here’s what’s striking: Obama 58.7% of the vote, to Wolfe’s 51%. (UPDATE) That MUST be a typo! Must be 58.7% to 41% … right? Kentucky results: Perhaps the most surprising result of the evening came in regards to the Democratic primary race on which President Barack Obama was the only candidate. However, Democratic voters also had the option of choosing an “uncommitted” box. This option received an alarming 42% of the Democratic vote, with the president receiving 58%. The figure of registered Democrats who remained “uncommitted” unquestionably serves as a statement on behalf of many of Kentucky’s Democrats who have not been happy with many of the president’s policy initiatives. (shrugging) It didn’t seem to matter in 2008 so I don’t expect it to matter in 2012. The DNC is determined to implode. The Kentucky results are arguably more relevant because Kentucky has a closed primary. Arkansas, er, perhaps not so much. 58.7% to 51% is correct. The Arkanshire is a strange and mystical land, where the normal laws of math and science are more like suggestions. I didn’t even know this Wolfe character was running, but I voted for him. Bit of Arkanshire history: the only time Bill Clinton lost a governor’s race, in 1980, he first won a Democratic primary in which his opponent, a turkey farmer named Monroe Schwarzlose, got a surprising 31% of the vote. 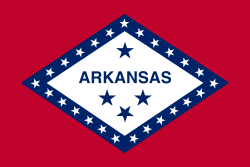 “Arkansans” and “Arkansawyers” are the preferred terms. As for mindset, though, I can only speak for myself. Of course, my memory is long enough to dismiss BOTH parties by now. Holy HEMIOLA, there sure are a lot of r@cysts in Florida. A lot of r@cysts who lost their jobs. And got the DNC runaround in 2008. Good thing there’s so much time between now and the election for obama to teach those Republicans a thing or two.